Meet The Coaches — The Speed School Inc.
All of our Coaches are experienced with training adults & kids. THEY have COMBINED certifications in Strength & Conditioning, Functional Fitness, Personal Training & Nutrition. 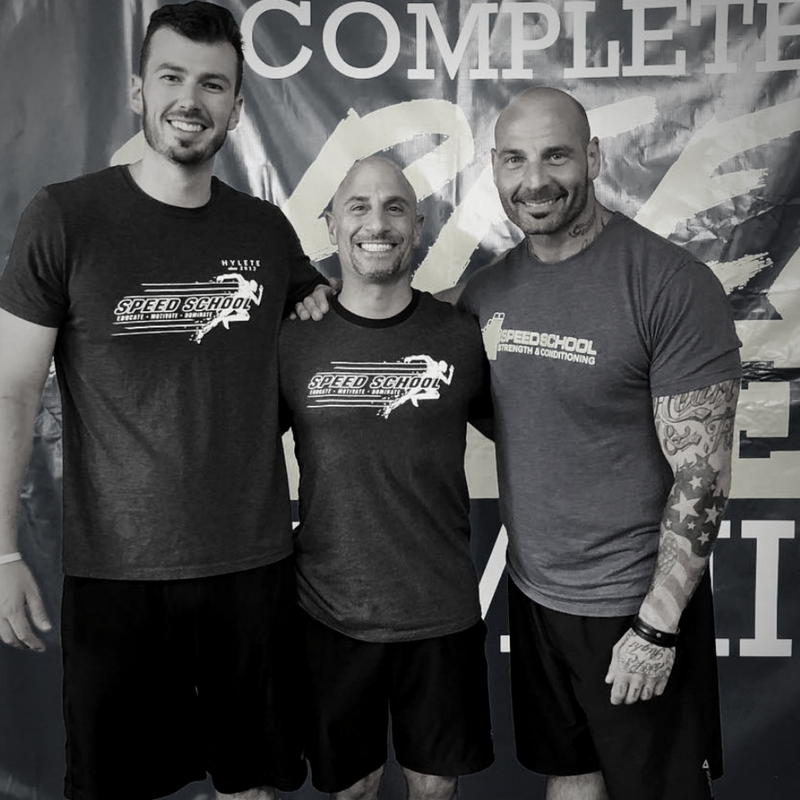 Joe Giustino, born and raised in Marquette Park, Illinois, has over 20 years of coaching and fitness education experience. The words "sacrifice" and "hard work" are no stranger to him. He has dedicated himself to the education, motivation, and improved performance of all his athletes. Athletes don't just play an organized sport—they are anyone with a will to compete, against themselves or the competition. Coach Joe's goal at The Speed School is to have a positive impact to improve lives. Coach Trevor has been involved with sports his entire life. In high school, he was a three-sport athlete competing in cross-country, swimming, and track. Trevor started his coaching career as a swim coach for his local swim team. After graduating Illinois State University's Exercise Science program, he has continued his education studying functional training for adults and athletes, weight loss management, and strength & conditioning athletes. Trevor has also worked in the field of rehabilitation therapy helping clients manage chronic pain. Coach Phil has been actively involved in health care and fitness for most of his life. He has competed and coached gymnastics at the elite level. Phil attended Illinois State University studying Exercise Physiology and also has five years of clinical nursing experience in Intensive Care. Phil has been training in a health club setting since 1996. Coach Michelle has been training clients for over 10 years. Michelle is also a mother and has personal experience with body transformation. She has also competed in 2 figure body building shows in 2018 and came in 4th place for both. Her drive in the fitness industry is helping others create a healthy environments for success and happiness.